Sydney Opera House, which is a wold famous centre for the performing arts, is located in the harbour district of the city of Sydney, New South Wales, Australia. It is comprised of several performance venues which host over 1,500 performances annually which are attended by over one million people. Sydney Opera House has become a symbol of both Sydney and modern Australia. In 1955 the Premier of New South Wales, Joseph Cahill, launched an international competition to design an opera house which would have two performance halls. The competition, which attracted 233 entries from 32 countries, was won by Danish architect Jørn Utzon in 1957. Construction of Sydney Opera House began in March 1959 and took fourteen years to complete. It took almost ten years longer than expected and the eventual cost was $102 million. Sydney Opera House has almost 1,000 rooms. The largest of these is the Concert Hall which has an audience capacity of up to 2679. Other rooms such as the Joan Sutherland Theatre, the Drama Theatre, the Playhouse and the Studio give the Opera House an overall seating capacity of 5,738. It is regarded as one of the most spectacular centres in the world for the performing arts. Apart from its function as an opera house it is also the number one tourist attraction in Australia. Over seven million people visit the Opera House each year and over a million of these attend a performance. Sydney Opera House was designated a UNESCO World Heritage Site in June 2007. 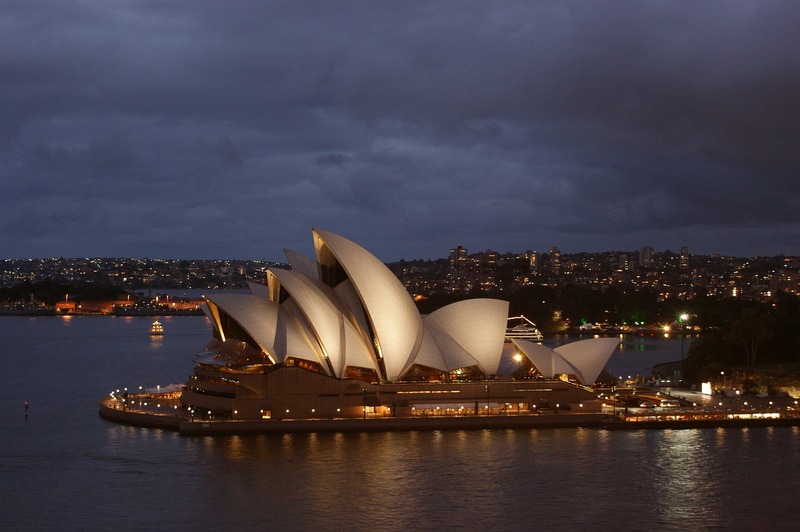 According to the expert evaluation report, ‘Sydney Opera House is a great architectural work of the 20th century. It represents multiple strands of creativity, both in architectural form and structural design, a great urban sculpture carefully set in a remarkable waterscape and a world famous iconic building’. Beethoven’s Symphony No. 9 was the first performance given at the official opening of Sydney Opera House. The opening, which was televised, was accompanied by a fireworks display. Sydney Opera House was officially opened by Queen Elizabeth II of England in the year 1973 On This Day.